Limousines are always on time – If you need to get picked up or dropped off at an exact time, limousines are your best bet. You can never depend on a cab, ride share or public transportation in general to get you to an appointment or flight on time. 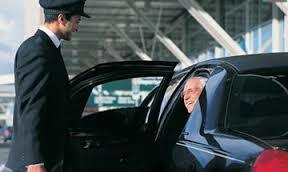 You can arrange for a limousine to come pick you up at an exact time. A good limousine service will have a backup ready as well in case the limousine you hired breaks down or has other difficulties. Limousines can carry many passengers – The best limousine services have a large fleet of vehicles to choose from. This means that whether you’re on your own or you’re with ten others, you’ll be able to hire a limousine that fits everybody comfortably. This makes much more sense for larger groups as well since you can split the cost, which not only makes hiring a limousine cheaper, it ensures that everyone gets to your destination at the same time. Limousines allow you to travel in comfort – This is important if you’re headed towards an important event – whether you’re about to get married or you have an important meeting to attend. The comfort a limousine provides can help to reduce your stress. Many limousines offer all kinds of amenities to further increase your comfort, from the ability to plug in your phone and listen to music to HDTV screens and more. Limousines can help make a big impression – If you have an important client coming into town, there’s no better way to make a good impression than sending a limousine to pick them up at the airport. Doing so will show that you care about their comfort and convenience – and that they are important to you. This works outside of the business world as well. For example, hiring a limousine to pick up a date is a great way to make a positive impression. Limousines eliminate the need to drive – One of the most obvious benefits of hiring a limousine is that you won’t have to worry about driving or parking, both of which can be problematic if you’re in a hurry. Not to mention that hiring a limousine is always a good idea if you’re going to an event where you plan on having a few drinks – this way there’s no chance that you will drink and drive. Limousines can help make special events memorable – There’s something about taking a limousine to a high school prom or to a wedding that makes the experience that much more memorable. This is especially true if you’re sharing the experience of riding in a limousine with a group of close friends. These are just six of the many reasons why you may want to consider hiring a limousine service. For information about our various limousine services or to schedule one of our limousine services, be sure to contact us at Signature Transportation today. This entry was posted in limo, Limousine, Transportation, Travel and tagged limo, limousine, transportation, travel. Bookmark the permalink.